Today, at the age of 56, Steve Jobs died. Steve Jobs was at the forefront of technological innovation. His name is listed among the group of inventors on 313 Apple patents. And whether you love Apple products or not, you can’t deny Steve Jobs was an icon in the industry and that his impact as CEO has been great. Even Google, and then Amazon, made mention of Steve Jobs’ death and linked to Apple on their respective front pages. As you can see in the header image of this post, Apple—in typical minimalistic style—have dedicated the front page of their website to his memory, linking to their own memorial page. There was already much anticipation surrounding the biography of Steve Jobs that is set to be released next month, but since today’s news pre-order sales have grown by 40,900%, making it the #1 seller on Amazon in the past 24-hours. Changes were made to the book when he announced he was stepping down as CEO, and I’m sure following today’s news there will be further changes. In a real sense, the final chapter has been written. Wired put together a tribute video to Steve Jobs, which includes some classic footage. How is a Christian to respond to the news of Steve Jobs’ death? No doubt there will be many responses and much commentary written in the days ahead, but allow me to suggest two responses for now. We should thank God for His common grace; for the way in which God has used the life of Steve Jobs, and Apple, to bring about so much innovation. Although we need to embrace technology, as Tim Challies says, with “disciplined discernment”, Apple’s technology and the technology of Apple’s competitors, have brought advancements in many walks of life and have provided many opportunities for Gospel work. 2. 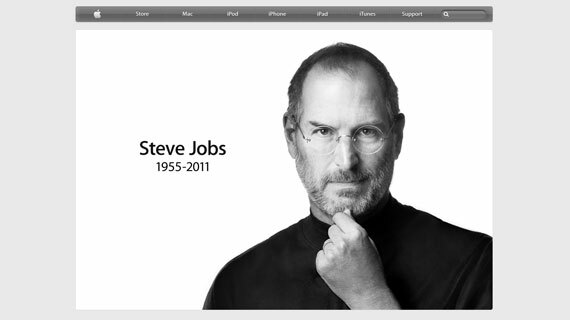 Mourn and Pray for Steve Jobs’ family and friends. Yes, Steve Jobs was the CEO of Apple, but he was also a husband, father, and friend. Today’s news may create a spike in newspaper and tabloid sales, but remember that this news will also severely break the hearts of those who were closest to him. May we follow the Apostle Paul’s admonition to “weep with those who weep” (Rom. 12:15). We can’t do it physically with them, but we can share the same spirit of Paul’s admonition by praying for them; praying they are comforted, and praying they find the truest peace that only comes from the Prince of Peace. I’ll leave the final word for now to Steve Jobs, taken from his famous Standford University Commencement address. His address doesn’t reflect a Christian worldview, however the sentiment to live in light of eternity, knowing that none of us will escape death, is certainly both wise and biblical.